Taiji Quan has important features of practicing in postures. So, if you want to master the marrow of Taiji Quan, you should master the postures systematically and use it flexibly. Take the 24-form Simplified Taiji Quan for example, it is divided into several regular combinations. It illustrates the treating features, the effect and the matters needing attention of every combination. It especially gives detailed demonstration to some adaptive factors of the regular movements. 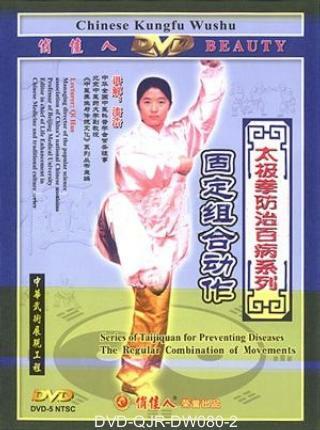 In the eight regular movements, there are neat illustrations to the practicing features of the Life Enhancement Taiji Quan to different diseases. It is very easy for the beginners of life enhancement to learn.